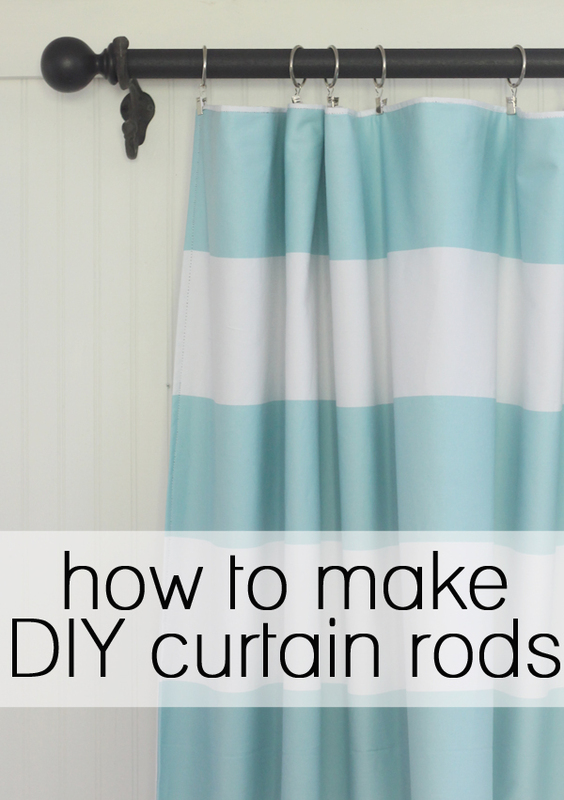 Curtain rods are so expensive, especially when you think about the fact that it’s just a stick that holds up fabric. Although I’ve paid well over $50 for a set of long rods, honestly I’d much rather make them on my own. For under $20, I made an 11 ft long rod that’s perfect for my living room. And it only took about 10 minutes of hands on time. Saving money and time? Yes, that’s a DIY project I can get behind. 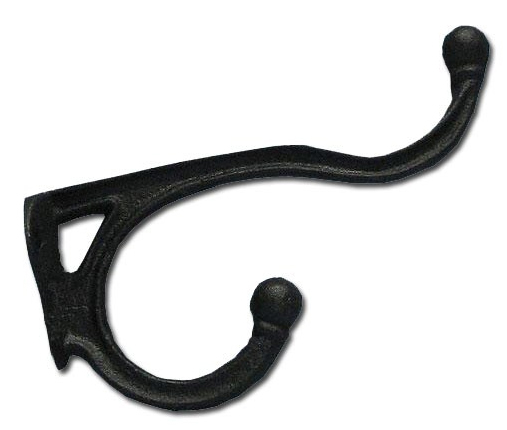 You’ll also need 2 or 3 of this style hook ($1.99 each at Hobby Lobby.) If your rod is over 6 ft, you’ll need 3 of them to support the extra weight. 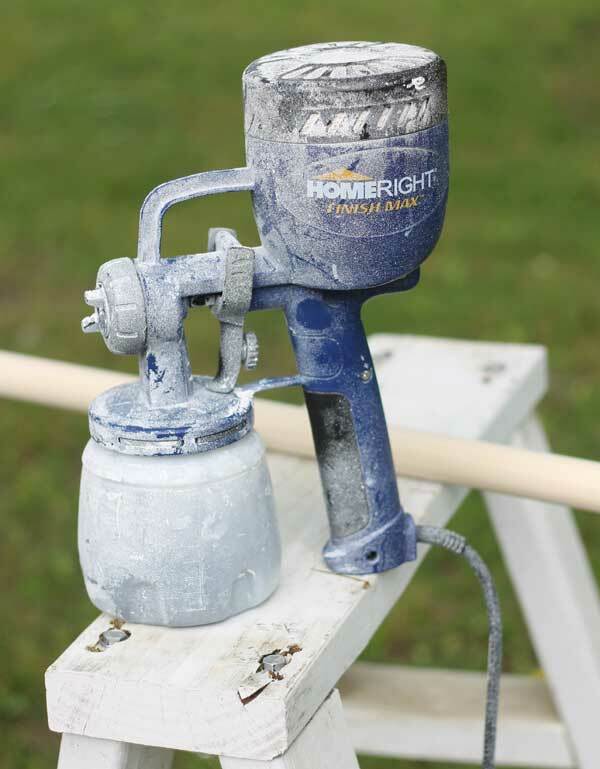 As for tools, you’ll also need a drill and a paint sprayer. 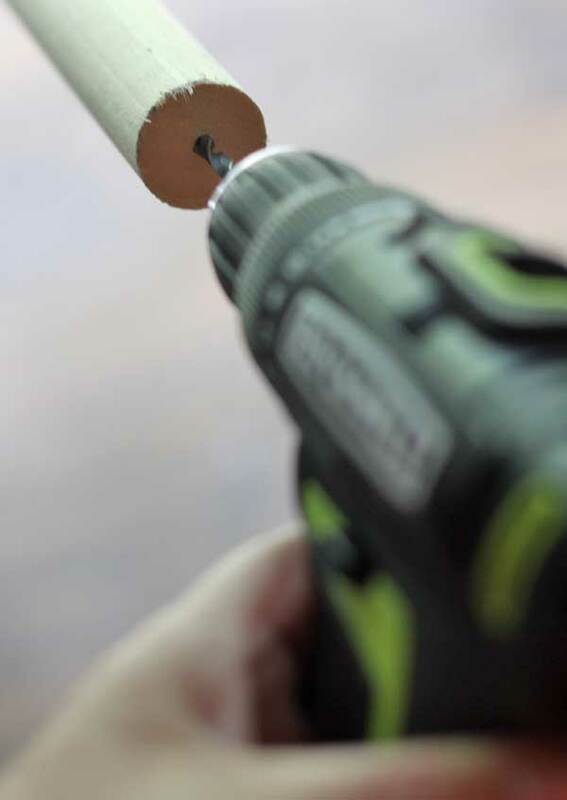 To start, use a drill and make a hole in the center of the rod, so your finial can screw into it. 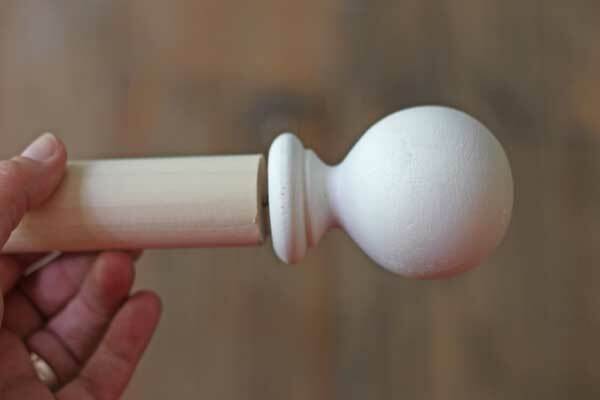 Next, put the finial on part of the way, but not all of the way, so you can paint it easily. Next spray it all down with a paint sprayer. You could brush it, but trust me on this – it takes a LONG time. With my HomeRight Finish Max it took about 45 seconds to paint the first side, then I let it dry and painted the second side in another 45 seconds. Seriously 2 minutes of painting and about 2 minutes of cleaning up the sprayer is WAY better than spending an hour painting a ding dang rod. Let is thoroughly dry before putting it up. 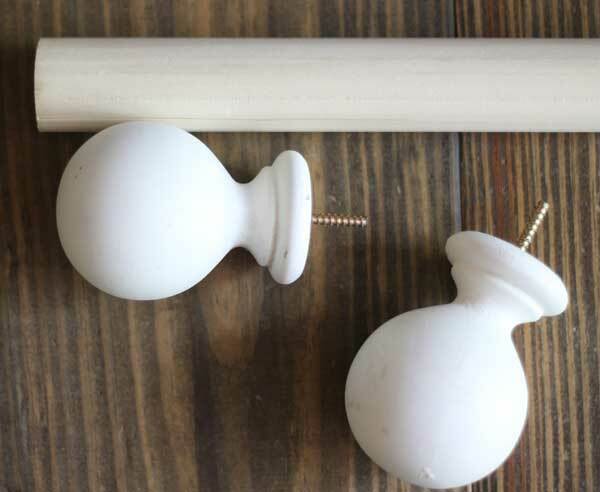 Install the hooks at the ends and in the middle, with the larger hook on top, slide your rings onto the rod, secure the finials and you’re ready to hang your curtains! 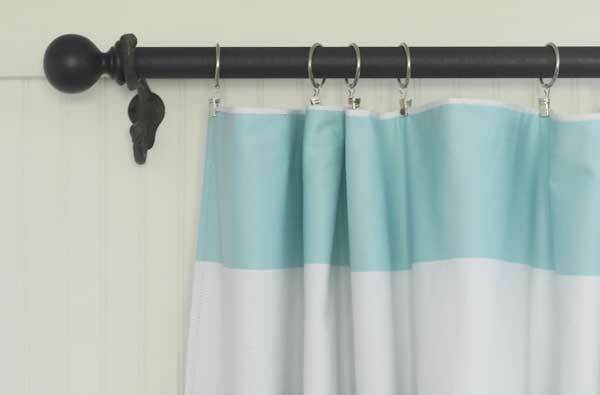 Of course curtain rods are nothing without windows, so be sure to call The Window Source of Des Moines for all your replacement window and door needs!